The February 2015 Edition of The Profit Newsletter is available for download just in time for our Atlanta REIA Main Meeting on February 2nd. 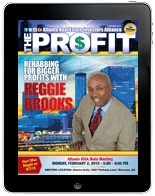 The Profit is Atlanta REIA’s digital, interactive newsletter for serious real estate investors delivered as an Adobe PDF file to read on your PC, Mac, Smart Phone, iPad or other mobile ready devices. Many of the articles and ads in The Profit contain many hyperlinks you can click to get more information online! The high res version of The Profit is “print ready” for those who want to print the newsletter on their home or business printer. Be sure to Subscribe to The Profit by Email or Subscribe to The Profit by Text so you don’t miss a single issue. A thorough inspection of the subject property will serve as a basis from which to begin the rehabilitation. Until you are experienced enough to perform this inspection yourself, it is wise to seek the services of a competent professional. Most contractors will give you a free estimate of repairs when they know they stand a chance of getting the job. You may consider exercising your option to do the work yourself. In the beginning, it might be worth while to spend your time working on your properties, but as the number of properties you own increases, you’ll be better served to delegate your fix up work to some one else, while you focus on finding more deals. If you are going to do a fair amount of work on your properties, always keep in mind that if you’re not a plumber, electrician, roofer, carpenter or such, don’t try to tackle jobs that are beyond your skill level. Leave those jobs for the professionals. Dancing… and Real Estate? What gives? What? You still want to know what else dancing & real estate investing have in common? 5. You’ve gotta have the right PARTNER! Remember all those? If not, just go get last month’s issue of this publication… it’s all there! After spending almost 30 years teaching good folks how to use real estate to take their life back, I’ve learned there’s a very short list of things that stop some from rapid growth. In fact, it even keeps some from developing a life-long career and separates them from financial freedom. With today’s automation and systemization, there’s only a few things for the real estate business owner to do. Everything else should be done by someone or something else, thus freeing up your time to focus on the business—not be a slave to it. However, if these few things aren’t set up and put on auto pilot, it’s the kiss of death, and many owners spend years doing stupid, nonproductive stuff or worse, quit and go chase another shiny object. We all have 24 hours in a day, right? No one has more or less. And some people are successful investors, right? Is that because they have more time than you do? Do they have 26 hours in a day? This sounds silly, doesn’t it? Then why do so many people say that they just don’t have enough time to achieve success? Are you one of these people? Do you say that you don’t have enough time? Understand that time is a resource. Once it is gone, there is no getting it back. Time is not bigoted, racist, or only for the rich and beautiful. You can’t bank a few minutes. There is no going back. Everyone everywhere has the exact same amount and gets to spend it however they choose. Did you know that every month, within 5 miles of your home, there’s a $15,000 net-profit deal waiting to be had? The hard part is finding it, and then knowing how to creatively structure it into a big-profit deal. There won’t be a large sign in the yard that reads: Stop Here – $15,000 Deal Inside! A common mistake made by many would-be real estate investors is to run a We Buy Houses ad, then sit back and wait for the phone to ring. A truth: The phone rarely rings! Because of this, most new investors go out of business long before they find their first deal! In addition to door-knocking, you must continually learn creative deal structuring techniques from experienced real estate investors. 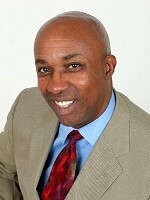 The best creative deal structurer I know is Pete Fortunato. With nearly 50 years of deal-making experience under his belt, he’s the master! “What?” The look on Cousin Marv’s face was as blank as that awful blue screen. “Okay, how about backups?” I asked. Maybe we could at least get his presentation back. Here we are already in the second month of what I believe is going to be a bumper year for real estate investors. For real estate investors who decide that they need to change the way they are trying to buy houses, many have little success without available affordable financing. Did you see the movie Groundhog Day? In the movie events kept repeating themselves over and over. Today I am seeing this very same thing happening to real estate investors. Many investors today are still trying to do exactly what they did in the past and it still isn’t working for them. Most of these investors are getting what most of the other investors who lack the ability to borrow money are getting which isn’t very much. Many of these beginning investors are struggling to make little money, most are just going through the motions of what they were taught by some guru. One of the things that never ceases to amaze me in the real estate business is how many investors leave hundreds or thousands of dollars on the table at closing due to errors in the closing documents. This is an area where many investors need to be educated. Many times investors get excited about the bottom line and forget to check the figures on the documents. It is a mistake to assume that the HUD or closing statement is correct or that the closing documents are correct. The person preparing the closing statement can make mistakes. In addition, the person preparing the closing statement and documents is using figures that they have acquired from other people who could also make mistakes, such as the insurance company, the Realtors, the lender, home inspection service, or the surveyor. Wells Fargo Paper Pushers are a PAIN! In the past several months, Wells Fargo has taken on a new policy wherein they want a copy of all lien releases for any outstanding liens on the property PRIOR to submitting the file to the negotiator for review. They are now pulling their own title work and reviewing it to make sure that all liens are being reported to them. This may cause a huge battle because often the Second Lender will not approve the lien release until they have the written approval from the First. I have always said that Wells Fargo is one of the strictest Banks that requires a crazy amount of paperwork for them to move forward. We recently had a file wherein the second mortgage, even though they had a second mortgage on the property, took the Sellers to court on the Note and received a Final Judgment against them. The seller was even garnished. However, in Florida, if you are head of household, you can stop the garnishments if you do not agree with the garnishment, so that ended. We have been fighting with a Negotiator that cannot put the second mortgage payoff and the Final Judgment Payoff together as one. In this business, in client meetings, telephone consultations and seminars, we find ourselves answering the same common questions about real estate IRAs over and over again. So we thought we’d compile them here, in one convenient list. 1. Is it legal to hold real estate in an IRA? You can’t own life insurance in an IRA. You can’t own gems or jewelry. Any precious metals you own in an IRA have to meet certain standards for purity and consistency. See our exclusive Guide to Gold and Precious Metals IRAs for more information on this topic. You cannot own alcoholic beverages within an IRA. Are You Ready For Your Taxes To Be Prepared? April 15th — tax day — will be here before you know it. Actually, most businesses need to file by March 15th and there are a number of special things small-business owners need to be aware of when preparing their taxes this year. Let’s take a look at four areas that may affect your business’ 2014 tax return. Most people know that businesses with more than 50 employees will be heavily impacted by the Affordable Health Care Act. But what about companies with only a few employees? It turns out that if small companies want to provide health insurance for their employees, they may be eligible for increased tax credits this year. Check it out with your CPA.